ONE YEAR AFTER EP RELEASE…. (Los Angeles, CA – April 26, 2016) One year after the release of RAVENEYE’s debut EP, “Breaking Out,” the band makes their debut on Billboard’s Heatseekers chart! Hitting #8 on the Heatseekers Mountain chart and #10 on the Heatseekers South Central chart, proving that touring and delivering live drives album sales! Last year, the trio completed a hugely successful European and U.S. run with Slash. With rave reviews, RAVENEYE were invited to come back to the U.S. – this time to tour with The Darkness. The tour began in the Bay Area at the start of April and has wound its way down the coast and across the south to Cincinnati tonight, Chicago tomorrow, before heading to Indianapolis, Baltimore, New York, Buffalo and ending this run in Boston on May 4th. Even though only 25 years old, Oli Brown, singer and multi-award winning guitarist, has already released four solo albums and toured the world for 10 years with legends such as Jeff Beck, Buddy Guy, Johnny Winter and Joe Satriani. Mojo Magazine hailed Oli as, “the hottest young pistol in British blues’ and Classic Rock Magazine described him as “one of the best and brightest guitar heroes performing in the world today”. 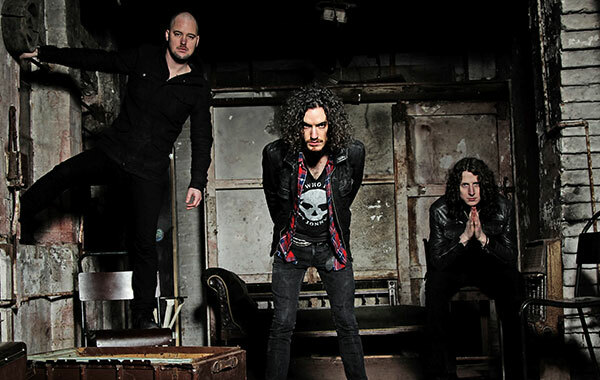 He has recorded the 5 tracks on “Breaking Out” late last year, before teaming up with drummer Kev Hickman and bassist Aaron Spiers and to take the songs out live – et voilà – RAVENEYE was born. Filled with deep, bluesy grooves which invoke giants such as Zeppelin and Soundgarden, the band (who only formed a year ago) are winning fans around the world with their huge sound and killer live shows. The band plans to head into the studio this summer to record their first full-length album.